Bordered via Tibet in north side and Nepal in east, Himachal Pradesh in west and Gangetic plain in south Uttarakhand is a land of spirituality and devotees. Famous amongst tourists the best tourist destinations are Dehradun, Mussoorie, Rishikesh, Haridwar & Nainital. 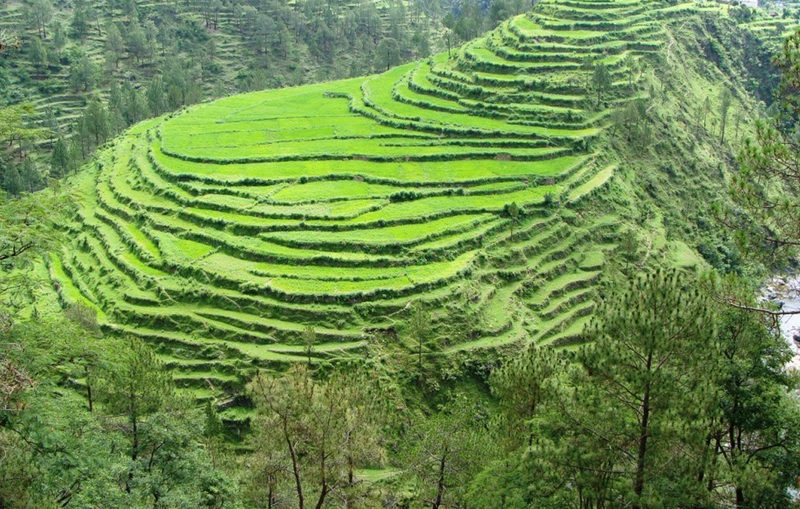 Uttarakhand is the origin point of many holy Indian rivers and adobe of best hill stations in north India. It’s like a jewel on the top of the Indian Territory. The mountain ranges will provide you comfort zone in the sweltering summer and same will provide you some of the best snow mountain ranges views in winter season. Also you will find many activities to do in Uttarakhand including exciting trekking on mountain ranges to river rafting. Each activity is delightful to spend some quality time with your family and friends. Mesmerizing valleys, beautiful snowcapped Himalayan mountains, astonishing views & a rich culture – the north indian state of Uttarakhand known as “Devbhoomi”, has some of the best places to visit in India. There are some must see hill stations in this region you can visit to make your holiday memorable as here Nature has coated the astonishing canvas with its natural beauty.